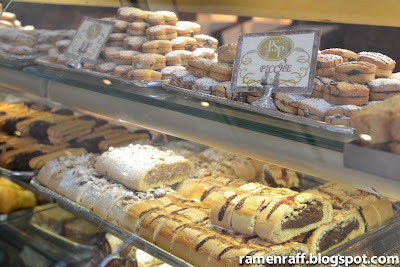 Whassup hungry food lovin' readers? Spring is here but the cold weather still remains. So what do I like to have in this type of weather other than ramen? Beef soba at Menya Mappen! 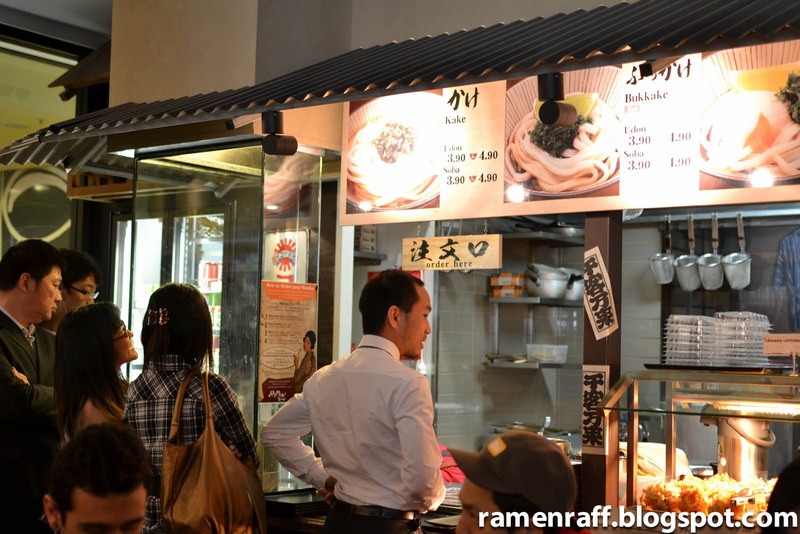 This time, my journey into the wonderful world of food takes me to a familiar and favourite cuisine of mine. That cuisine is Japanese food. 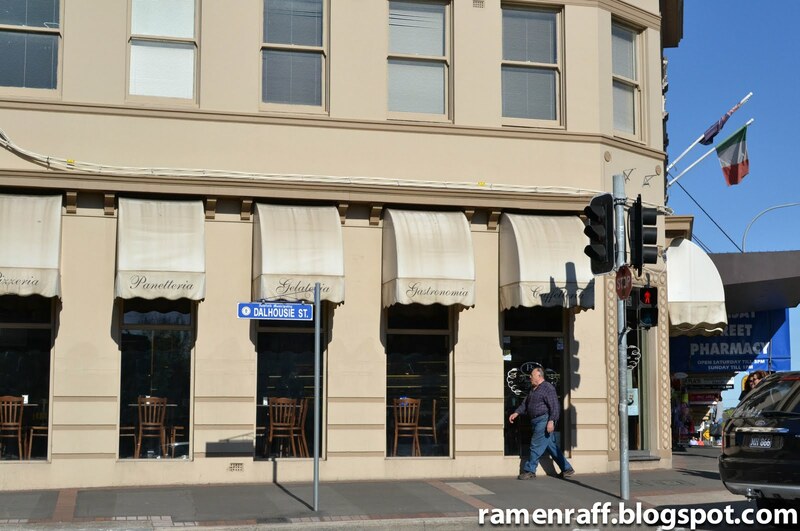 Menya Mappen is just a few minutes walk from Town Hall station located on George Street. As I enter this self serve noodle bar, it seemed and felt like I've entered a whole new world. It was like being transported to a back street in retro Tokyo. 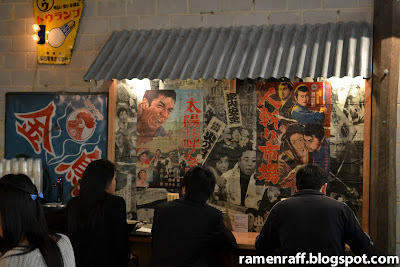 The displayed poster of classic Japanese/samurai movies was a cool touch to the place. 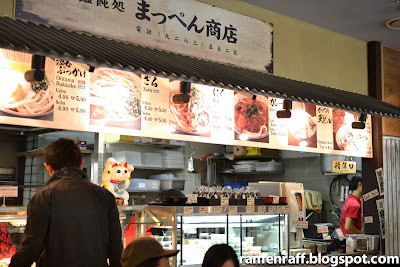 To order food, I joined the queue that started from the door. The sight of hustle and bustle at Mappen was a sight of promising good food. 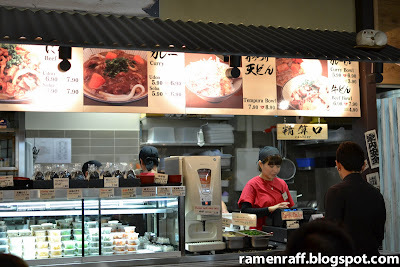 Once my turn to order food was up, I started by taking a tray and picked an udon or soba of my choice. 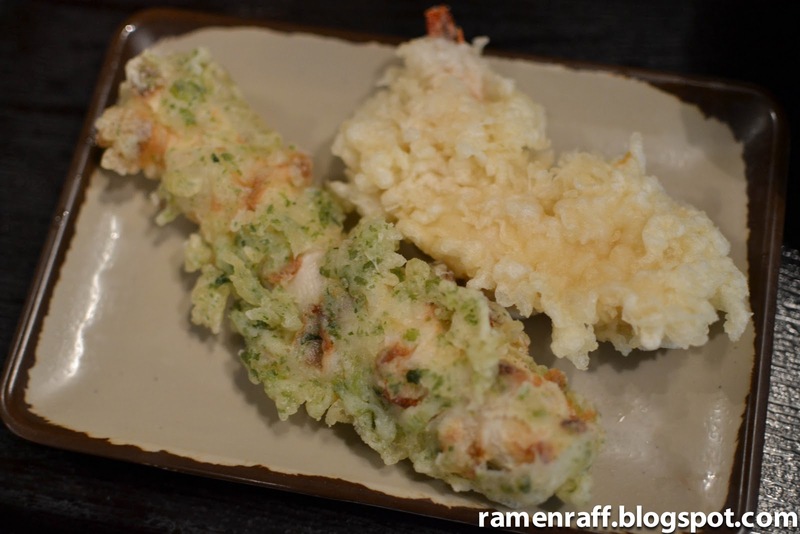 Then it was followed by optional choices of tempura and side condiments. 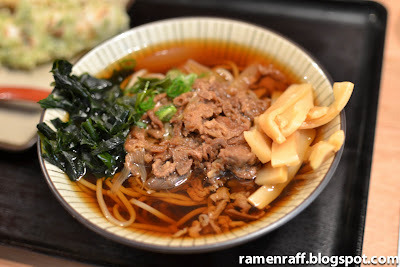 The beef soba was good and comforting. 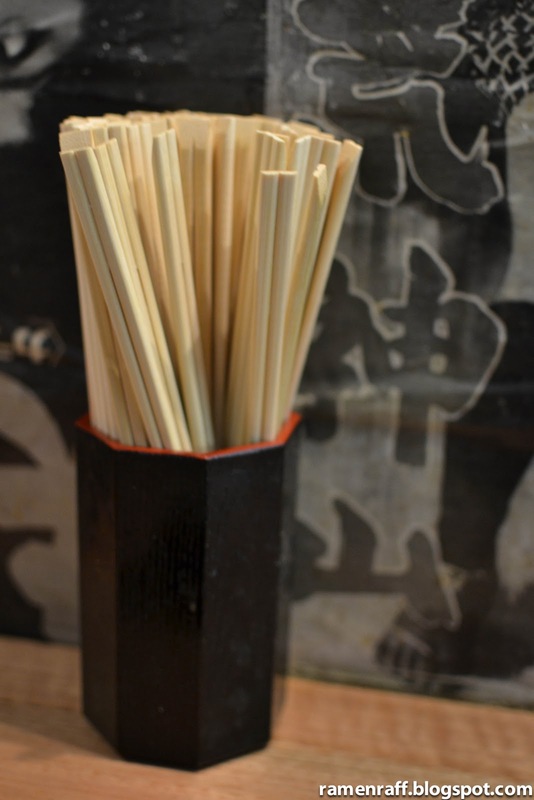 I have always loved the taste and texture of soba. Adding light kakedashi soup to the soba gave it more character. 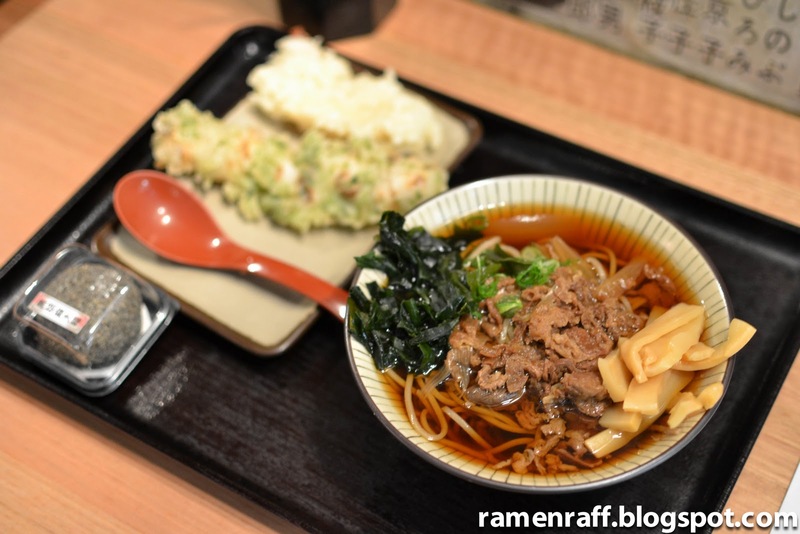 Kakedashi is a light soy based soup also flavoured with fish and dried kelp. 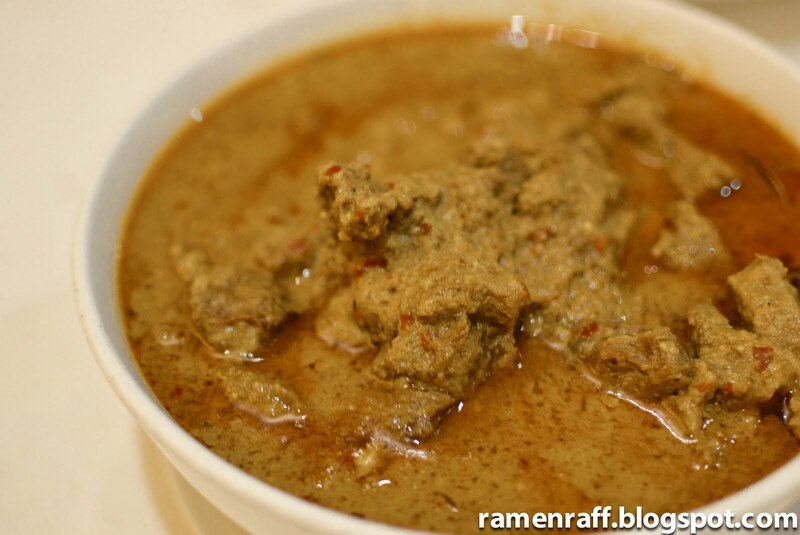 The topping of cooked tender slices of beef added a nice protein content to the dish. 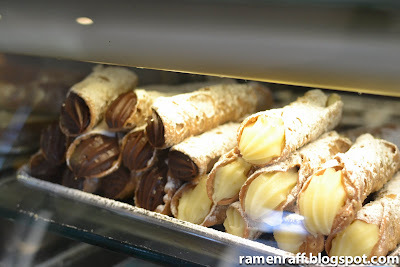 I cannot go pass the tempuras of course! 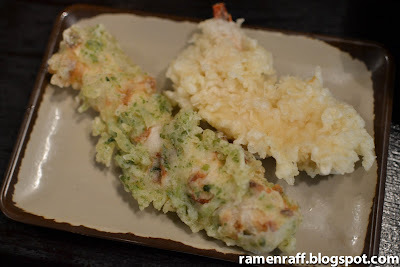 I had a prawn and fish tempura. 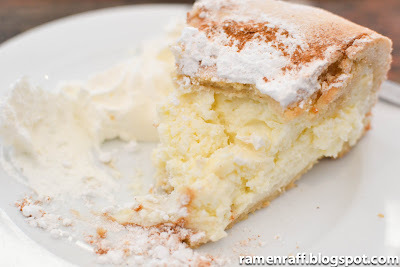 The batter was perfect to my liking which was crispy and doughy-ish. 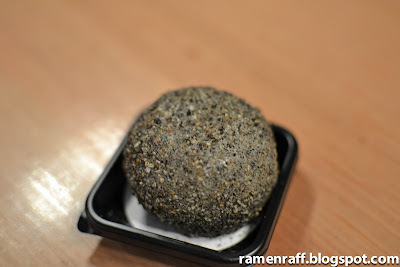 A new favourite Japanese treat of mine is the black sesame daifuku. A sticky rice ball with red bean paste inside. 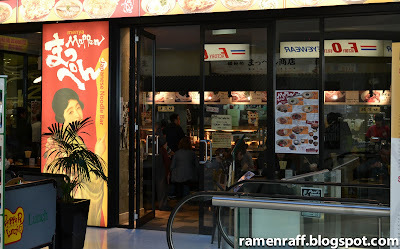 Mappen food gave me comfort and great tasting food satisfaction. 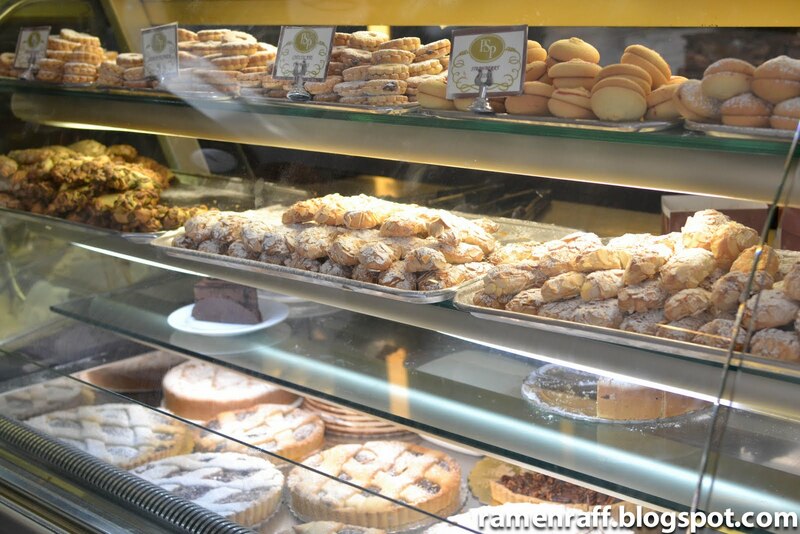 With a place that has food as tasty and reasonably priced as this, one can't go wrong. My lunch at Mappen was very yumny for my tummy! How's yours? It was my first ever visit to Haberfield and l loved it! I was diggin' the retro Italian/Aussie suburban vibe of the area. 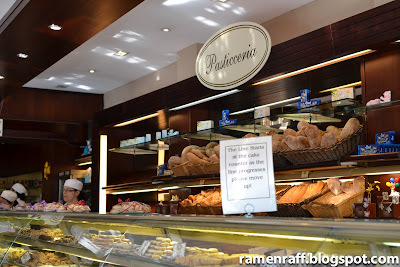 One of the best things about Haberfield is that it is home to the renowned Pasticceria Papa. Pasticceria Papa is a Cafe/Patisserie located on Ramsay Street that sells a wide range of beautiful pastries, bread and one of the best cheesecakes in town! The place feels and looks as retro and classic as the area. I was so overwhelmed & in awe of the exquisite display of pastries and cakes. But there was one particular cake that Mrs Ramen Raff and I were determined to have. 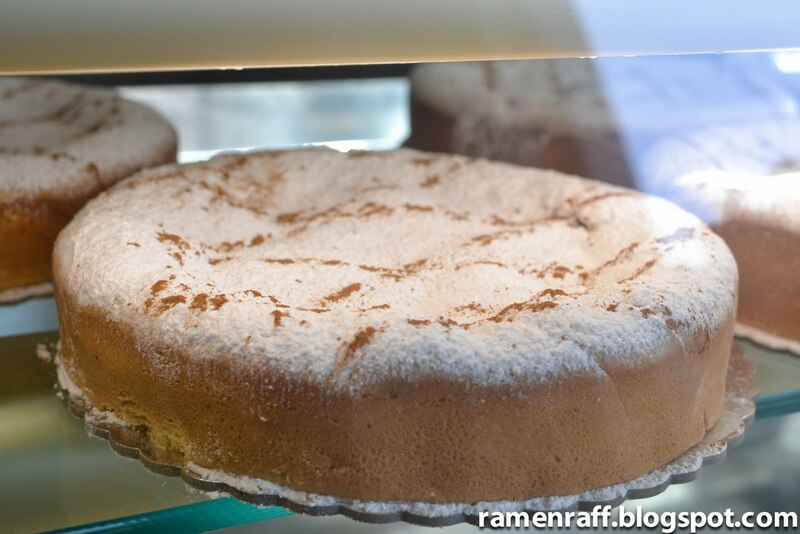 It is none other than their baked ricotta cheesecake. We first heard about the popular baked ricotta cheesecake from our friend the G-Man and later, from other bloggers. It did live up to its hype. The ricotta cheesecake is covered with a pastry-like crust. The use of ricotta takes the cheesecake experience to a whole different level of marvel. 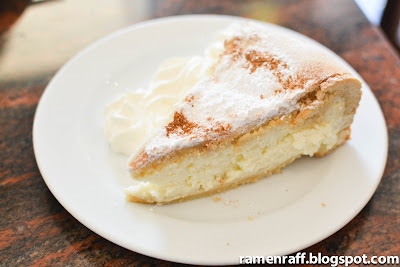 A slice is quite heavy (even for me) but the taste is amazing and the texture is smooth. 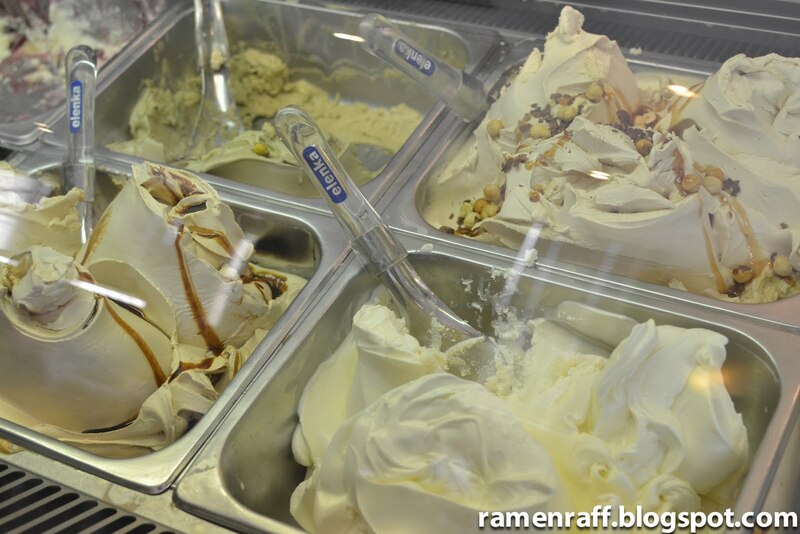 I'm a big fan of gelatos and I could not resist the sight of displayed gelatos. 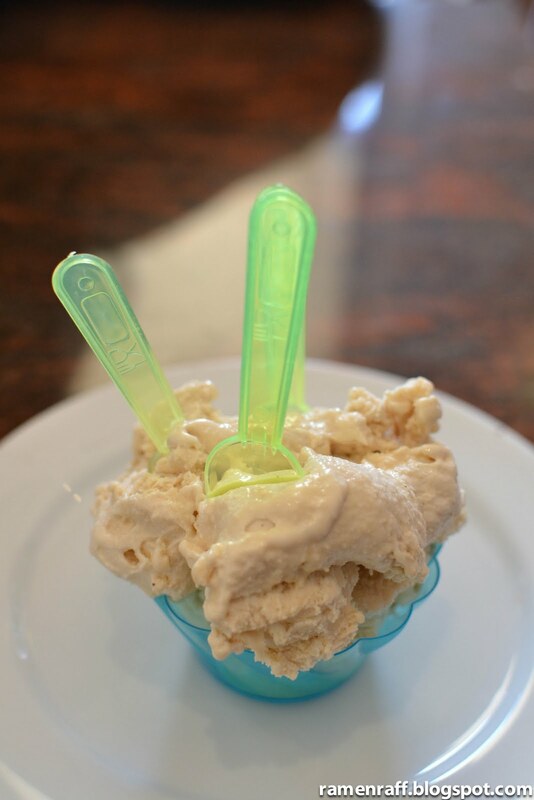 I picked the nocciola (hazelnut) gelato. The taste stays true to the name . 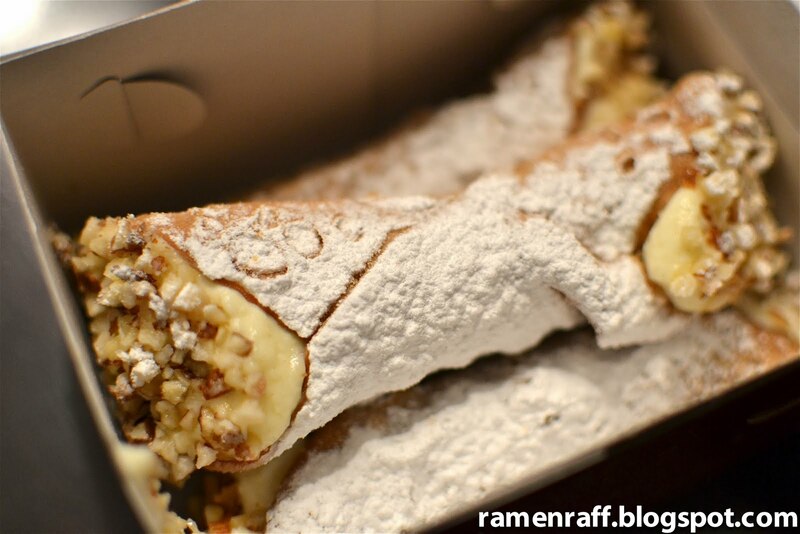 It was milky, creamy, and full of real hazelnut goodness! 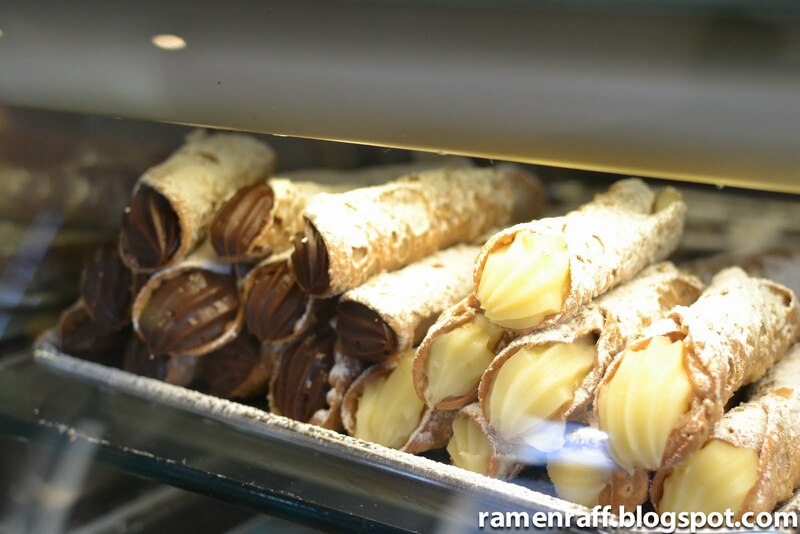 Their ricotta cannoli is now my favourite canoli. The shell was perfectly crunchy and the ricotta filling was amazing. It was pure indulgence and awesomeness in a shell! 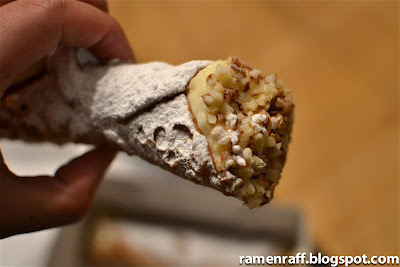 The sprinkled crushed almond nuts added an extra crunchy texture that made the canoli more exciting to munch on. If you haven’t been to Pasticceria Papa, then you better head there soon! 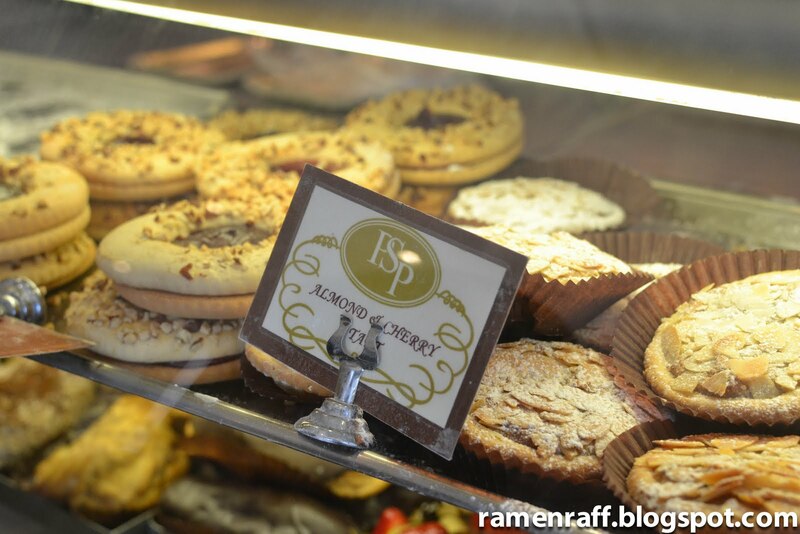 Warning: a bite of their baked ricotta cheesecake will get you hooked. 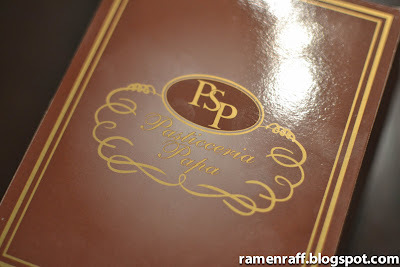 My afternoon tea at Pasticceria Papa was very yummy for my tummy! How’s yours? 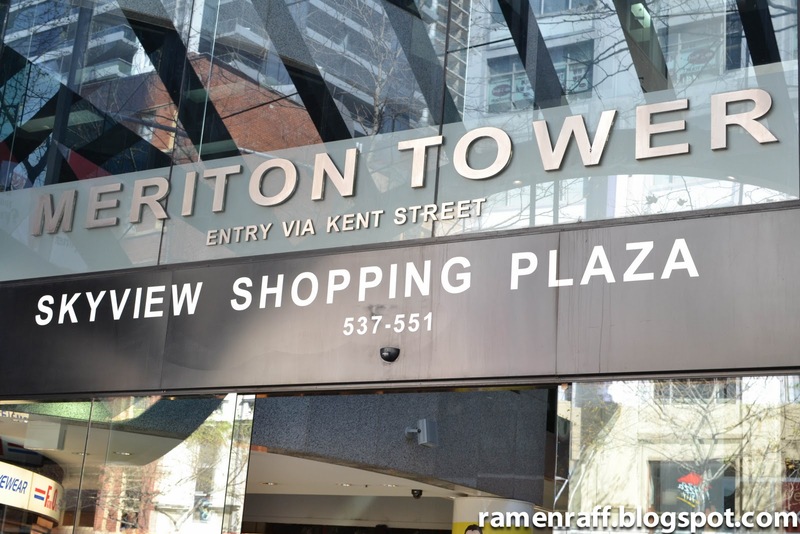 The Western Sydney food scene is pretty awesome! 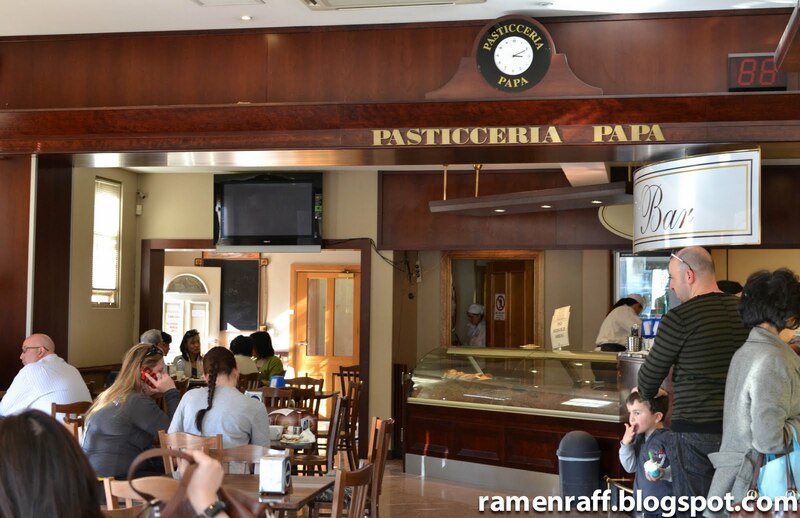 Parramatta in particular boasts a lot of good restaurants and eateries. 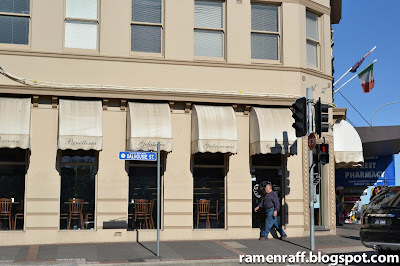 One of my favourite restaurants in Parramatta is a Singaporean and Malaysian restaurant called Temasek. 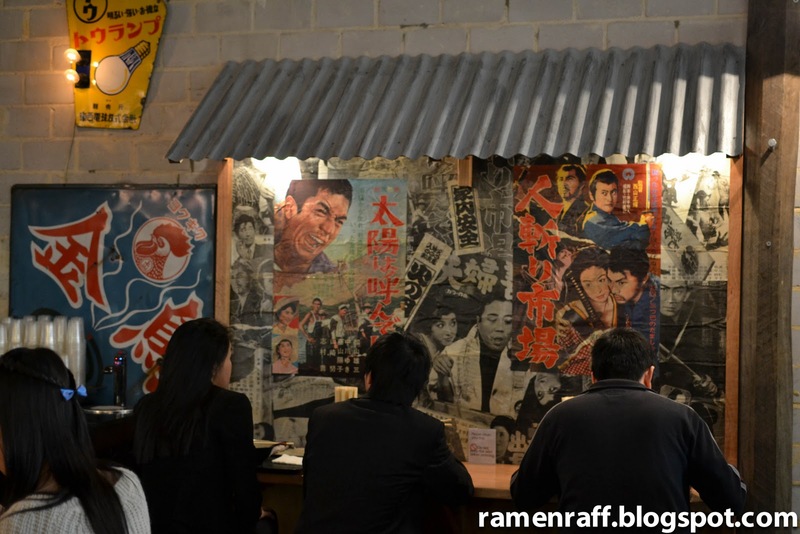 It is located in an alley next to the Roxy on George Street, Parramatta. My wife and I frequently visit this bustling and lively restaurant. 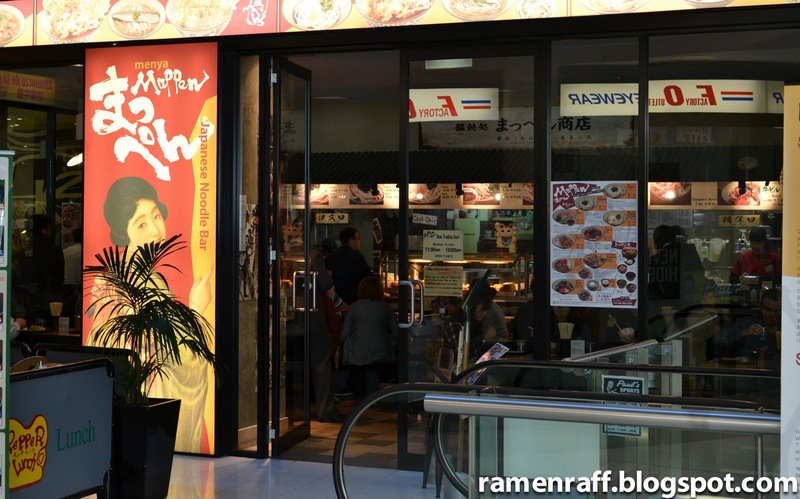 This is where we get out laksa fix out in the West. I’ve noticed that a crowd of people is a common sight here (which is a good sign of good food). 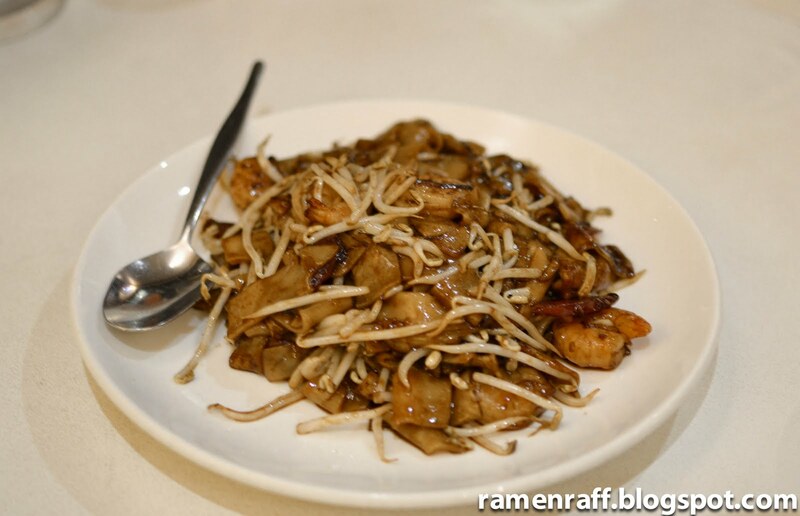 Besides serving good quality Singaporean and Malaysian food, most prices are reasonable and the servings are pretty generous. Most of the casual diners are couples, families and groups of friends/colleagues. 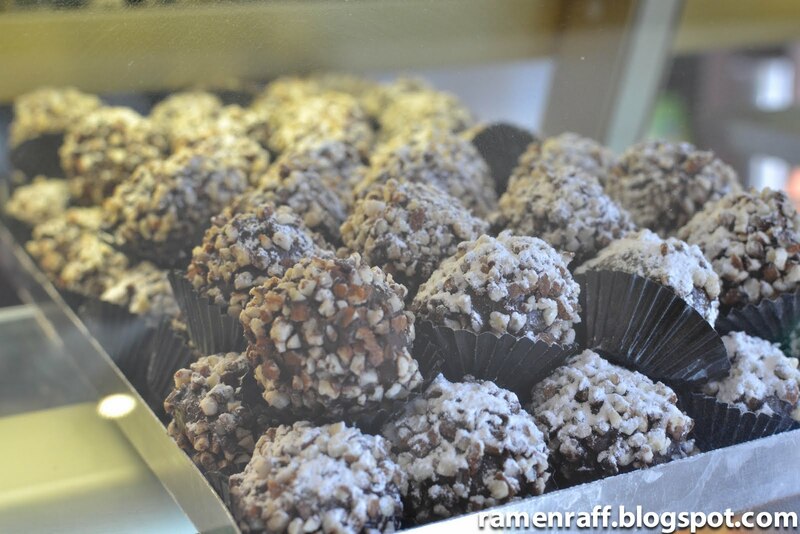 A few weeks ago, Julie (I dream in chocolate) organised a meet up dinner at Temasek. Hungry West Sydney Food Bloggers were gathered and united. 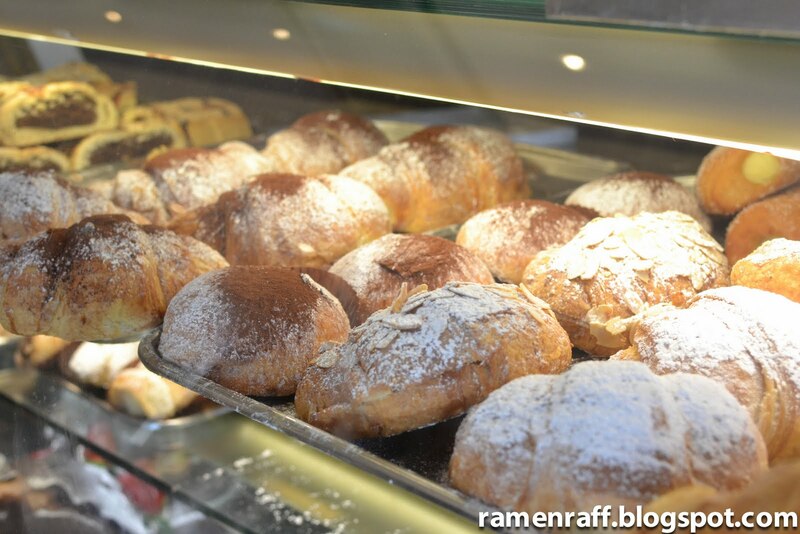 It was nice to put faces on all the food blogs that I happily follow and read. Temasek was perfect to hold such an occasion. Soon as we all got there and were finally complete, we got down to ordering our food. Soon as the food arrived, it was food photo taking time! We are Food Bloggers after all! The Hainanese chicken here is one of my favourites. Besides being perfectly cooked, it is boneless and therefore makes the eating experience easier. 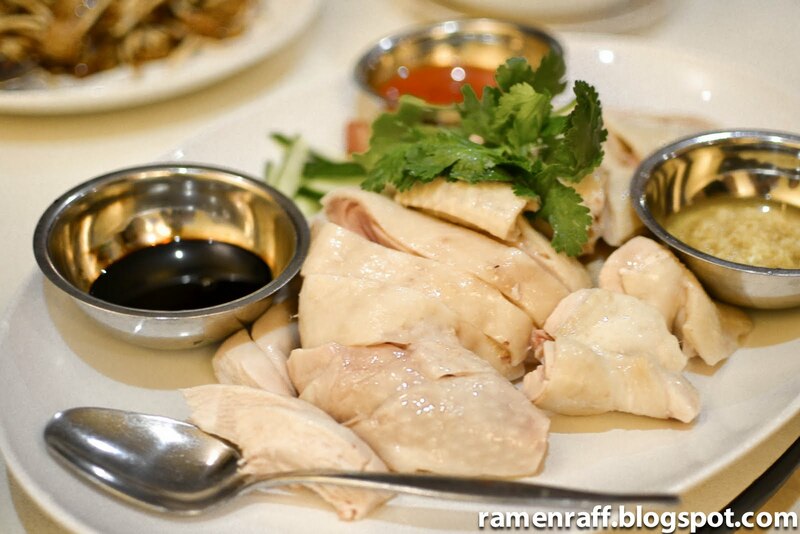 It is chicken boiled in a special chicken stock and served with grounded ginger, chilli and soya sauce. 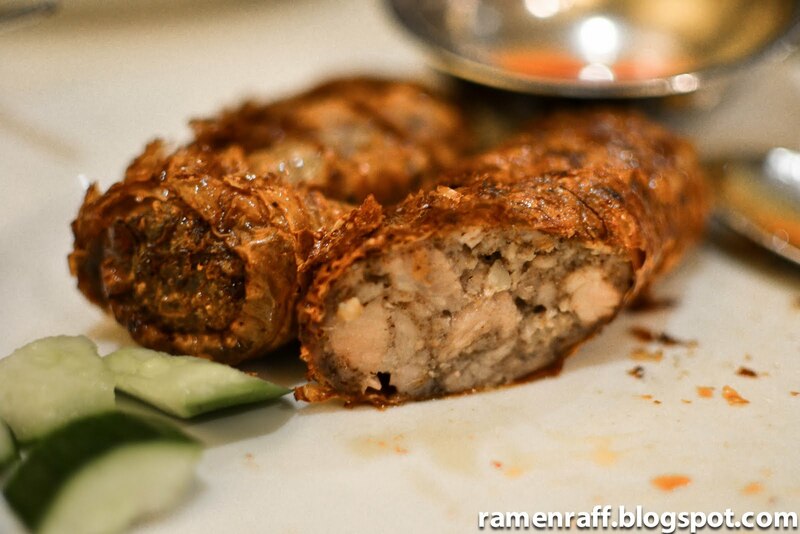 It is also traditionally eaten with chicken flavoured rice. It may look simple, but the combination of chicken, the side sauces and chicken flavoured rice is amazing. 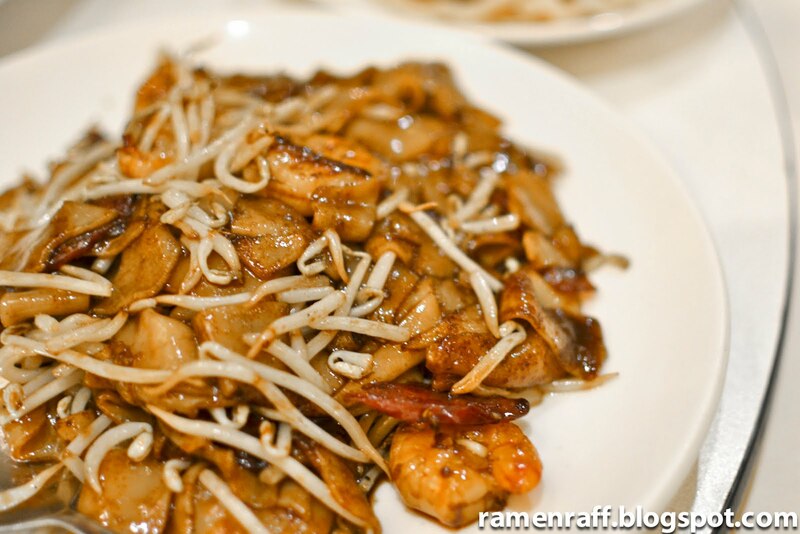 Another favourite of mine at Temasek is their take on char kway teow. It is flat rice noodles stir fried in dark soya sauce with prawns, bean sprouts, sausages and some chilli. I love the slight sweetness that the sausages bring to this dish. The beef rendang here is quite nice too. It has more sauce than most beef rendangs out there but the meat is very tender and flavoursome. It is also in the milder side of the spice-o-meter in my taste and opinion. 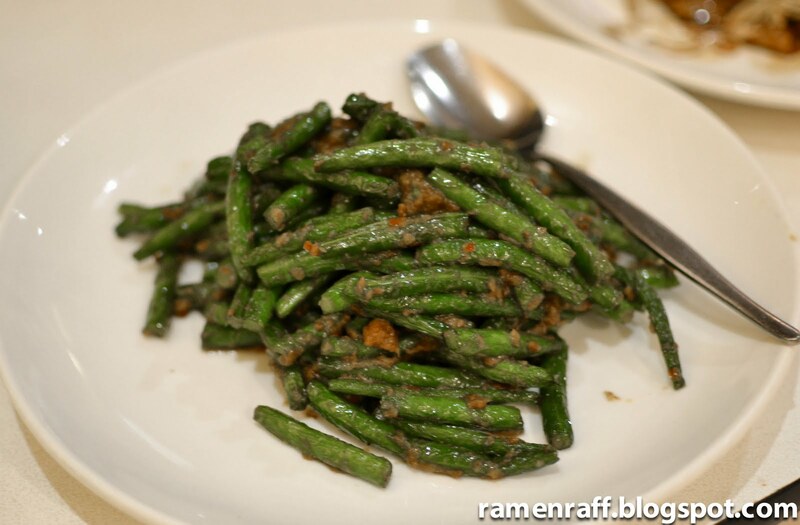 The sambal balacaan beans are string beans cooked in balacaan paste (shrimp paste). A new dish has been added to my list of favourite dishes and that is Temasek’s ngoh hiang! It is awesome! 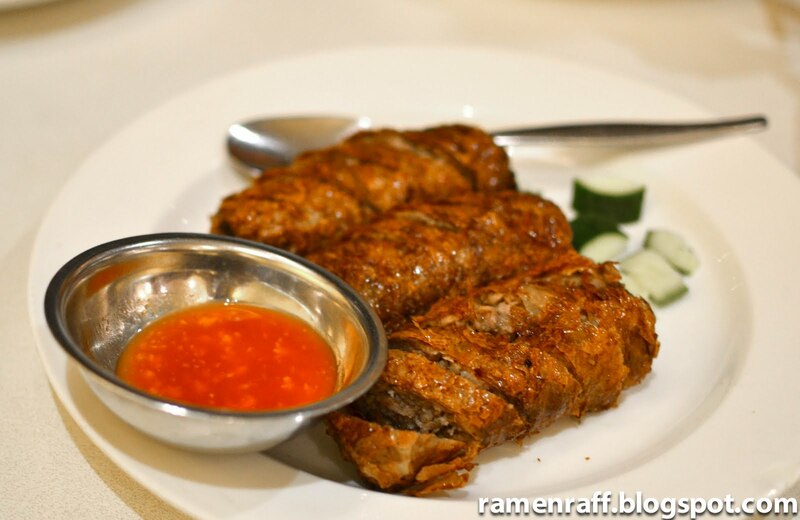 It is meat roll that’s been cooked in five spice. 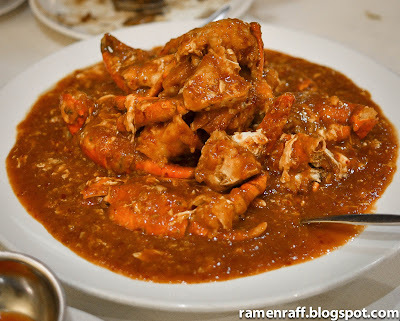 The star of the night was the amazing Singaporean Chilli Crab. It is pieces of mud crabs cooked in a tomato and chilli based sauce. There were a lot of sauce, I could swim in it. Of course, I cannot end a night at Temasek without getting my ice chendol drink fix yo! 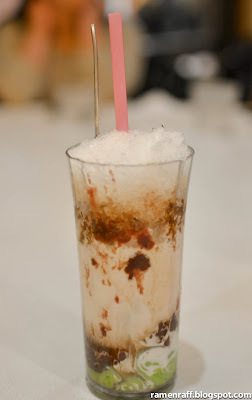 I like the chendol drink here so much. Although, I think it is more of a dessert than a drink. 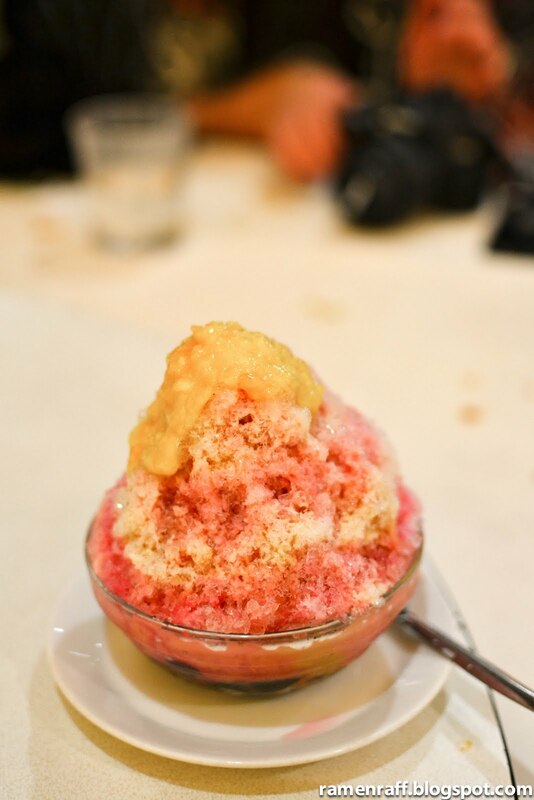 It is chendol (green jelly) mixed with palm sugar, red beans, and coconut milk served with crushed ice in a glass. If you are ever in the Parramatta area (or leave close by) and looking or craving for a good Singaporean and Malaysian food fix, Temasek is the place to go to. My dinner at Temasek was very yummy for my tummy! How’s yours?